Who are you to decide where we belong? Goli Soda 2 is all about answering this question posed by three young boys, trying to figure their life out in today's world. When the three boys who aren't aware of each other, face problems in their personal life, a common friend of theirs comes to their rescue. SD Vijay Milton follows the formula he set up with Goli Soda, but does it work well? Read ahead to find out. Three underdogs- Maaran, Siva and Oli land in trouble with their respective villains for different reasons, and the common point for this hyperlink subject is Samuthirakani, who plays Natesan, an ex-cop. Gautham Vasudev Menon does a special cameo as another police officer, who investigates the reason for all the action that we see in this movie. Anything more about the film would be termed as spoilers, so let's dive right into the technical aspects. All the lead characters have visible romantic angles, but they don't seem to make a mark. Most of the first half is eaten up with the establishment of the personal lives of the characters. Like most films, the intermission block brings out the conflict in all the stories, but for all the stories to meet, it takes even more time. There is a LOT of action in Goli Soda 2, and stunt master Supreme Sundar must be praised for his work in the film. The performances from the lead boys Bharath Seeni, Essaki Bharath and Vinoth could have been stronger. Though they spoke about the rise of the underdogs, some dialogues seemed force fitted. Since director Vijay Milton has his base in cinematography, some of his frames in GST are impressive! 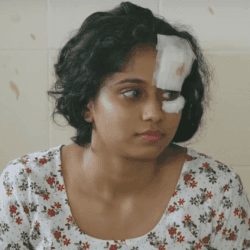 Five directors, namely, Samuthirakani, Saravana Subbaiah, Gautham Menon, Rohini and Vincent Selva have played supporting characters in this film and they have all played their roles well. 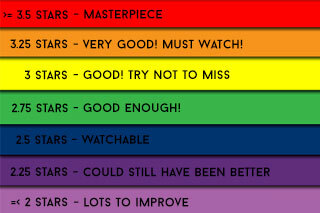 The second half relies more on the action, and the intensity that was built around it is praise-worthy. One thing that stood out in the film was Achu Rajamani's music as his background score was admirable. There is one romantic song in the first half, which might seem as a speed-breaker in the screenplay, nevertheless, it was pleasing to the ear. Another powerful track in the latter part of the second half helped the climactic action sequence. At some points in the film, some edit transitions could take one by surprise, but overall, Deepak's cuts seemed fine. Overall, if director Vijay Milton added more surprise elements and presented this hyperlink without making it very predictable, the film could have worked better than it eventually did. Verdict: Though refreshing, this Goli Soda could have been lip-smacking if not for a few forced moments! 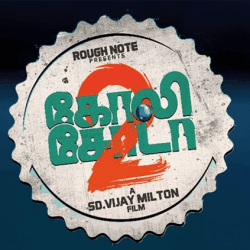 Goli Soda-2 video teaser can be expected soon. Shoot begins again from tomorrow (September 14, 2017). Pondattee is a warm composition that makes for a pleasant listen; Achu's rendition is enjoyable. For perspective, the song is like comfort food - not extravagant like a dinner feast, but still no less. The hummable tune is an added bonus. Right from the start, the intent to create an impact is strong with Kelambu. 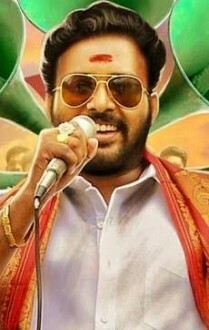 Mani Amuthavan's lyrics pack a punch, as the distortion on Steve's guitar portions complements Deepak, Mahalingam, Jithin Raj and Sreeraj's vocals. The intensity will only be higher when paired with visuals, so look out for this song. We are reminded of a few classic songs with Yaaro Vandhu, which is a short piece that burns with the pathos of a tough, merciless life. Although it is a track that will depend on the visuals for effect, it is a decent track nonetheless. Kannamma is a pop number which immediately takes us to a coffee shop like ambience. A portion in the middle with Khadhijah Shareef's refreshing voice backed by soft beats definitely deserves mention. Overall, a good listen. Gautham Menon fans will absolutely love his rugged dialogues that form the spine of the theme - of a fighter who stops fleeing and turns back to face his demons. Achu does not try to overpower us with the music too, and that adds intensity to the "vocals" that much more! Subiksha Reveals Her Character In Goli Soda 2! Exclusive: Gautham Menon For Goli Soda 2! Release Date Of Kabali Man's Next Announced! 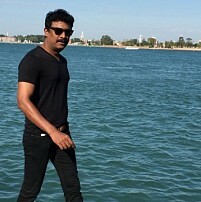 New Update On Samuthirakani-Ghibran Film! Change Of Plans For This Samuthirakani Film!!! Nayanthara Theatre Closed - Piracy Controversy! An Ode To Cooum; GVM Speaks Out, And You? Goli Soda 2 (aka) Goli Soda2 is a Tamil movie. 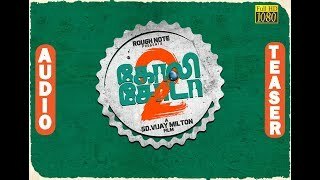 Chemban Vinod Jose, Gautham Vasudev Menon, Rohini, Samuthirakani, Subiksha are part of the cast of Goli Soda 2 (aka) Goli Soda2. 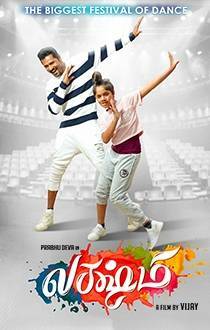 The movie is directed by SD Vijay Milton. Music is by Achu Rajamani. Production by Rough Note, cinematography by SD Vijay Milton.